Giveaways can help you win things that you normally wouldn’t be able to buy. I have won a couple of awesome giveaways in the last two months. And they have helped me more than you can imagine. So, in this post I’m sharing some awesome giveaways that I have entered myself and I look forward to winning at least one of them. This new contest has been organized by a very close friend of mine – Wade Harman of BloggersMakeMoney. He has organized this great giveaway of $100 Paypal cash. From the looks of it, though it seems there will be only one winner for this. It is good because if you win you get a lot of money. The giveaway ends on 13th May, 2013. So, good luck. This giveaway has been organized by Enstine Muki of EmfastIncome. He regularly hosts contests like this. This one is by far the most awesome giveaway that he has organized. Not only, do you have the chance to win SEOPressor, the best premium SEO plugin for WordPress there is but you also have the chance to win some cash also. 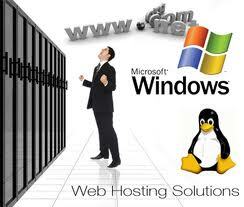 Not only that, not one but two lucky winners will get single site SEOPressor license + some cash. The one who comes third will also get some cash as well. The giveaway ends on 23rd April, 13. That’s enough time to get some entries to have the chance of actually winning the giveaway. This contest has been organized by Abhi Balani, the Oddblogger. He will give away, not one, not two but three single site licenses of SEOPressor. This giveaway however, doesn’t include any cash. But, if you really want to win the SEOPressor plugin then I suggest you enter both the giveaways to increase your chances of winning. The contest ends on 22nd April, 13. This awesome giveaway has been organized by Kharim Tomlinson of Webmaster-Success. This one is a total cash giveaway. Three lucky winners will win cash from this one. The contest ends on 16th April, 13. Again, a lot of time to gain entries to actually win this contest. This giveaway has been organized by Karan Paul of TrueMarketingCoach. The contest will have three winners who will get three hosting accounts from SmackHunt. This contest is idle for those who are thinking of starting a new blog but don’t have the money. The contest ends on 22nd April, 13. Participate now to increase your chance of winning by gaining more entries. Over to you. 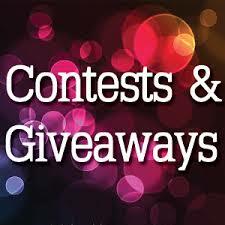 What do you think about these contests ? Are you going to participate in them ?